On June 15, the non-profit organization S.H.E.A.R., Inc., Sharing Hope Empowerment and Reaction, partners with the Miami Rescue Mission to host the Holy Ghost -N- Da Hood gospel concert to benefit at-risk youth. CHAUVET® DJ and TRUSST® are lending a helping hand by sponsoring the event and setting up 26 fixtures and 24 pieces of truss to light the stage which features performances by renowned gospel artists including Malcolm Hawkins, Mark Samuel and Scum of the Earth. 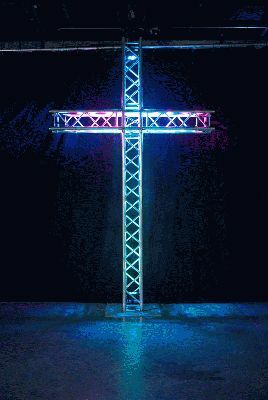 To create a prominent focal point on stage, a TRUSST®-built cross illuminated with four SlimPAR™ Quad 6 IRC wash lights and crafted from one 2.5-meter and three 1-meter sticks of truss, one 6-way corner block and one 30-inch base plate will serve as the backdrop. 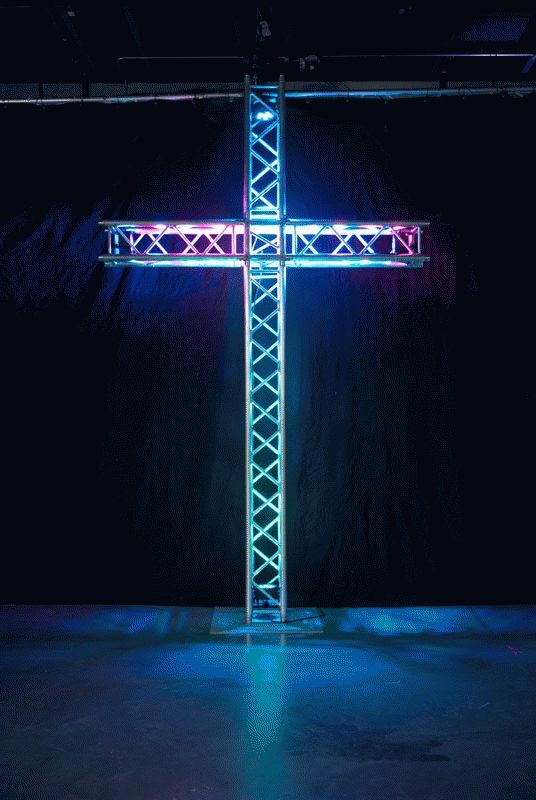 To add dimension, six Intimidator™ Spot LED 350 moving heads mounted atop two 1-meter, two 1.5-meter and two 2-meter sticks of TRUSST® warmed with six SlimPAR™ Quad 6 IRC wash lights are incorporated into the design. Two 4BAR™ Tri wash lights add front lighting to performers, while two Geyser™ RGB fixtures, two Impulse™ 648 strobe lights and a Nimbus™ dry-ice machine create impressive, eye-catching effects. Two Hurricane™ Haze 2D haze machines placed in the rear of the stage enhance beams and tie the light show together. Hosted by DJ Preacher of 1490 AM, J Blaze of La Nueva 88.3 FM and Ladi Ace of FLEXX FM, the first annual Holy Ghost -N- Da Hood event includes live performances as well as seminars to combat serious issues including peer pressure, bullying, drugs and homelessness among youth and young adults. Designed to provide a fun, family-friendly environment, the fundraising event will raise money for at-risk youth to attend summer programs held at the Miami Rescue Mission.